Great little beads and smell very nice! Light-weight. They look great with my semi-precious beads as bracelets and malas. Just made my second order and will continue to do so. 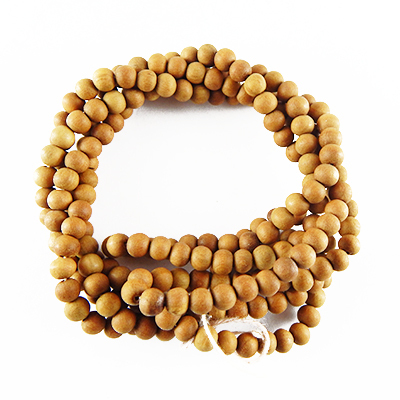 I ordered these sandalwood beads after being re-directed from Amazon. These are real sandalwood beads. When I opened the delivery box, the amazing scent surrounded me. Right there and then, I decided to reorder asap. Rest assured, these are the real deal! I am so happy with my order! !